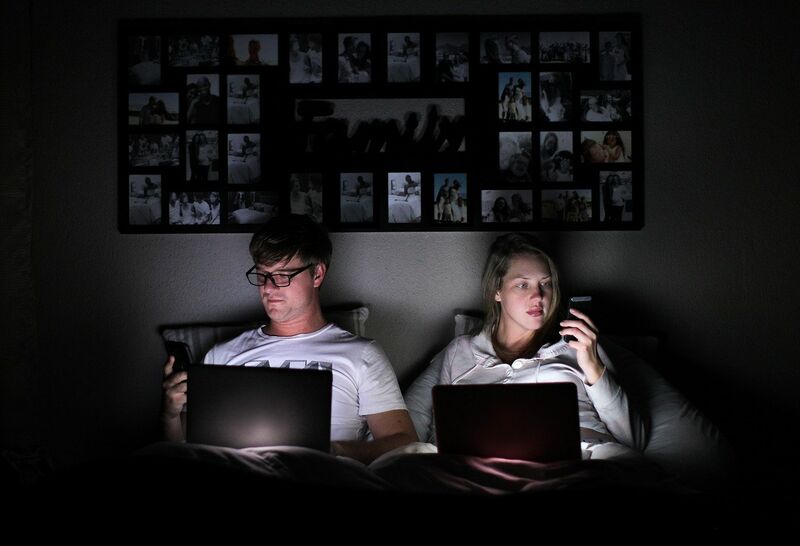 Electronics that emit blue light could be stealing your sleep and raising your risk for disease. Here's why, and how to protect yourself. Preethi Rajan, MD, specializes in internal medicine, pulmonary disease and sleep disorders at Northwell Health. She is also an assistant professor at the Donald and Barbara Zucker School of Medicine at Hofstra/Northwell. It's 10pm—or maybe it’s 2am—doesn’t matter. You can’t sleep. Whether you've been tossing and turning since you crawled into bed or dozed off earlier only to find yourself wide awake now, you're frustrated and worried about how you'll get going in the morning. Or maybe you actually did manage to get to doze off right away, yet the next day you're inexplicably exhausted. What gives? While there are a whole host of reasons (stress, perimenopause, the cappuccino you had after dinner) for not getting good quality rest, there's one that probably hasn't crossed your mind: Blue light. Blue light, explains Northwell Health sleep specialist Preethi Rajan, MD, is a type of light with a wavelength in a specific part of the light spectrum. It doesn't look blue to the naked eye—it looks like a white glow—and it's what's coming out of your smartphone, iPad, laptop, e-reader, and practically every other electronic device in your house. You'll also find it in fluorescent and LED light bulbs. "It's particularly stimulating to the circadian system, your body's internal clock that tells you when to feel sleepy and when to perk up,” Dr. Rajan explains. It also regulates other physiological functions, like hunger. External signals, like sunlight, are supposed to keep your body clock ticking along. Humans are naturally designed to rise as the sun comes up and rest when it gets dark out, but since the advent of the light bulb, that's rarely what happens anymore. 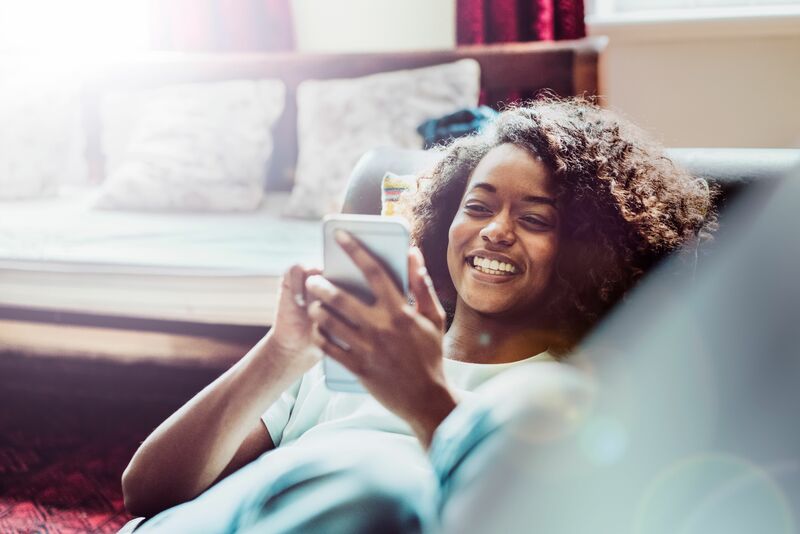 While too much exposure to any artificial light source can lead to sleep deprivation or poor sleep quality, blue light is especially problematic. That's because it suppresses melatonin, a hormone that your body produces as it's time to wind down and get ready for sleep, says Dr. Rajan. In other words, blue light keeps you alert. That's not a problem earlier in the day when you're active, but in the evening you want your body to start getting sleepy. If you're revved up too close to bedtime, you'll have a harder time drifting off. "Blue light may also interfere with 'sleep architecture,' and lead to lighter stages of sleep," says Dr. Rajan. Translation: You'll skimp on the deepest, most restful stages of sleep, so even if you've logged enough hours in bed you'll still feel lousy in the morning. Some experts are even concerned that blue light at night could affect your health. One Spanish study, for instance, found that people who were exposed to the most blue light at night were more likely to develop breast or prostate cancer. Other research has linked blue light with changes in metabolism, which could raise your risk for diabetes and obesity. Blue light hasn't been proven to hurt your eyes, but there’s reason to believe it may. Some preliminary research has suggested that, over time, it might alter photoreceptor cells and cause damage to the retina, says Dr. Rajan. Put away devices that you hold close to your face, like e-readers and smartphones, at least one hour before bedtime. (They're worse than your TV, which emits less blue light and is hopefully further away.) If you can't imagine going back to paper books, use a blue light filter on your device or wear blue light blocking glasses. Old-fashioned incandescent bulbs put out less blue light than modern, energy-efficient options, but if you want to stick with fluorescents and LEDs, that's OK: Just invest in some dimmer switches so you can turn down the brightness a few hours before bedtime. If you don't want to ditch them completely (especially in kids' rooms), swap the typical bright white- or blue-colored variety for something that's a soft shade of red. Street light infiltrating your bedroom can be a problem, too, especially if your city has installed LEDs. Hanging some curtains is a simple way to keep your room dark and cozy so you can get the rest you need to stay healthy. Meet Dr. Preethi Rajan, pulmonologist. Find a doctor that specializes in sleep medicine near you. Having trouble sleeping? Someone asks why in Dear Doctor. See why more couples are sleeping apart these days.